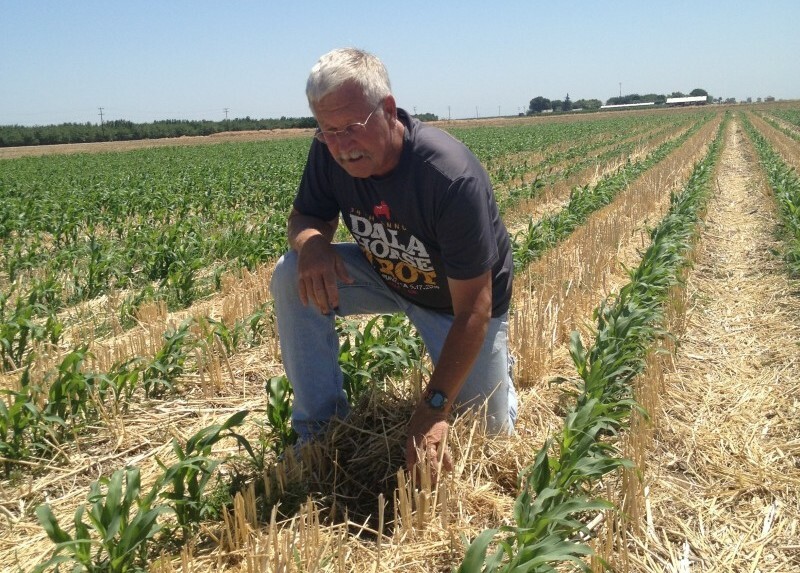 California lawmakers move toward paying farmers to adopt climate-smart practices. While El Niño rains have brought some relief to drought-stricken California, Governor Jerry Brown appears to be concerned with the impact extreme weather could continue to have on agriculture in the state. His 2016 budget proposal includes almost $3.1 billion for programs that address climate change and the allotment for agricultural programs jumped from $15 million in 2015 to $100 million. 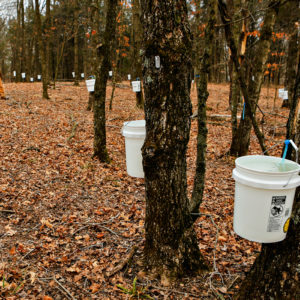 The suite of proposed agricultural programs include existing strategies such as methane digesters on dairy farms, and new ones, like the Healthy Soils Initiative, which aims to increase soil organic matter and carbon sequestration. They would all receive an unprecedented allotment of funds from the state’s cap and trade program, which allows large GHG-emitting businesses in California to buy and sell allowances beyond the state-wide cap. According to CalCAN, there is currently $1.7 billion in cap-and-trade funds that have yet to be allocated. So why the remarkable increase? Merrill points to a landmark 2012 study from the University of California at Davis that made a compelling argument for the value of climate-smart farming practices, and showed—among other things—that more GHG emissions were released from urban land than irrigated farmland. She adds that the state’s land trust and conservation communities have also rallied behind sustainable agriculture and helped inform decision makers about the undeniable connections between farming and climate change. But most supporters of the proposed budget aren’t too concerned about why the change is happening—they’re just glad to see that it is. 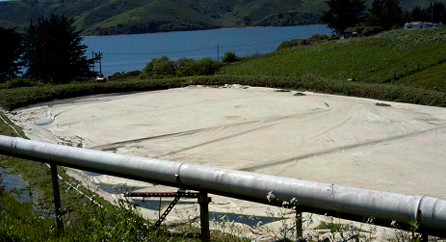 On a grassy hillside north of San Francisco, a large tarp covers a holding pond at the Straus Dairy and traps methane from liquid manure. The gas is then pumped to a combustion engine and fuels a generator that creates electricity to power the entire dairy. The company has been generating electricity through this low-impact system since 2004. There are at least 20 methane digesters like Straus’s on dairy farms throughout California. If the proposed budget is approved by the legislature, $35 million more could go toward helping create these kinds of projects, which the company’s founder and CEO Albert Straus believes are the most efficient way to turn animal waste into renewable energy and prevent methane, a potent GHG, from entering the atmosphere. These systems can also prevent animal waste from seeping into the water table as excess nitrates and entering the atmosphere as nitrous oxide. As a member of the CalCAN Advisory Board, she has since worked with other farmers, ranchers, researchers, and government agencies like the California Department of Food and Agriculture (CDFA), to create the Healthy Soils Initiative, the newest program to be included in the 2016 proposed budget. If Brown’s budget is approved, $20 million will go directly to farmers who adopt or expand on management practices—such as applying compost and the use of cover crops—which help contain soil nutrients, sequester carbon, and decrease greenhouse gases. Given the lineup of supporters, including the state’s secretary of agriculture and the head of the CDFA, Redmond is optimistic that the budget will pass. 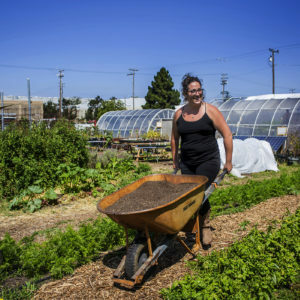 The city of Brentwood, California, lies on the San Francisco Bay Area’s rapidly developing “urban edge,” where Kathryn Lyddan, executive director of Brentwood Agricultural Trust is has been working to preserve rapidly disappearing farmland—and the local food produced there for years. Lyddan is focused on the Sustainable Agriculture Lands Conservation Program (SALC), which funds permanent conservation easements on farmland that is at risk of development. And it’s one of the only programs that has already been guaranteed funding for 2016. Launched in early 2015 with a $5 million allotment, it will receive an astounding 700 percent increase to $40 million in 2016—an amount that represents half of the funding California has ever invested in farmland conservation. “Everybody has assured me there should be no problem spending the money,” said Lyddan. Another program in the proposed budget is the State Water Efficiency and Enhancement Program (SWEEP). Emergency drought legislation provided the initial $10 million funding for the program—which gives farmers financial incentives to invest in water-saving methods that also reduce GHG emissions—but Brown’s budget would add another $20 million. 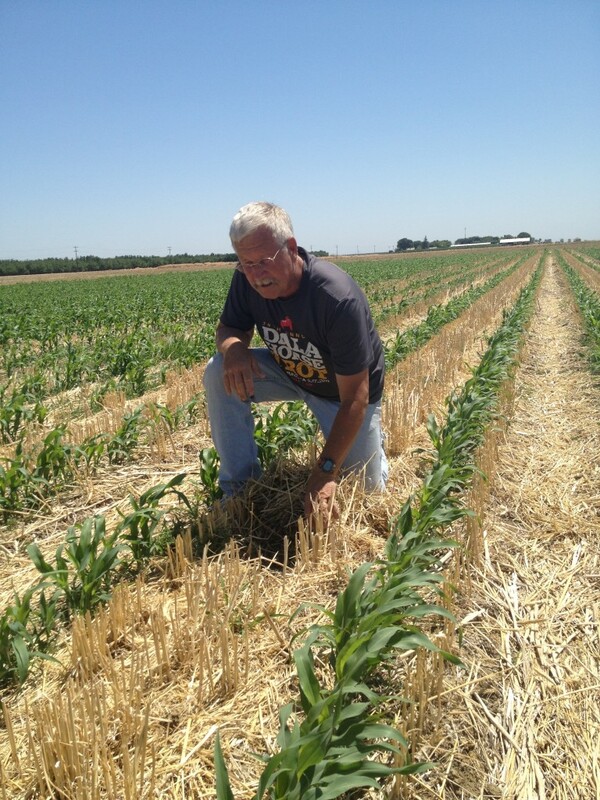 Overall, CalCAN’s Merrill says the Governor’s proposal is in line with most of the recommendations the coalition has made about the ways agricultural can provide solutions to climate change. She sees it as, “a necessary and positive first step.” But the conversation is not over. “The devil is in the details, and we’re really not there yet,” said Merrill. For example, right now there is little consideration in the budget for organizations like the U.C. Cooperative Extension and Resource Conservation Districts, which provide important technical support and help with the basics, like filling out paperwork. As Redmond explains, the bureaucratic paper trail can be challenging for small farmers, in particular, on top of their daily work. Most farmers will also have to invest some of their own money to participate, it appears. The proposed budget would provide grants for about half of the $300,000 it takes to build a methane digesters, for example. 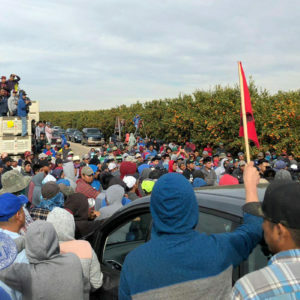 Farmers will also receive interest-free loans for the remaining cost, but they might not see the return on electricity costs for 10 to 15 years. The SALC program also has challenges, said Lyddan. Smaller land trusts or counties that really need the funding might not be able to pay the required matching funds, although the amount has been reduced from 50 percent to 10 – 25 percent for applicants in disadvantaged areas. Conversely, areas with influential and established land trusts that can come up with the money will still have to demonstrate a sufficient “threat of conversion” from rural to urban. And that’s not always an easy task. Some critics also worry about the fact that these full-steam-ahead policy proposals may be ahead of their time, from a scientific perspective. For example, all the programs require meticulous accounting of quantifiable results, but some of these methods are still being developed. And in many cases, quantifiable results might take years to notice and record. Dairyman Straus says that, despite the investment required, farmers will most likely want to take advantage of the programs. “If they’re good practices, farmers will line up—as long as it is something that really shows that it works and there’s a benefit for them,” he said. Merrill also acknowledges that climate change’s impacts on agriculture is an immediate challenge, but, there are important opportunities for farmers to keep it from getting worse. 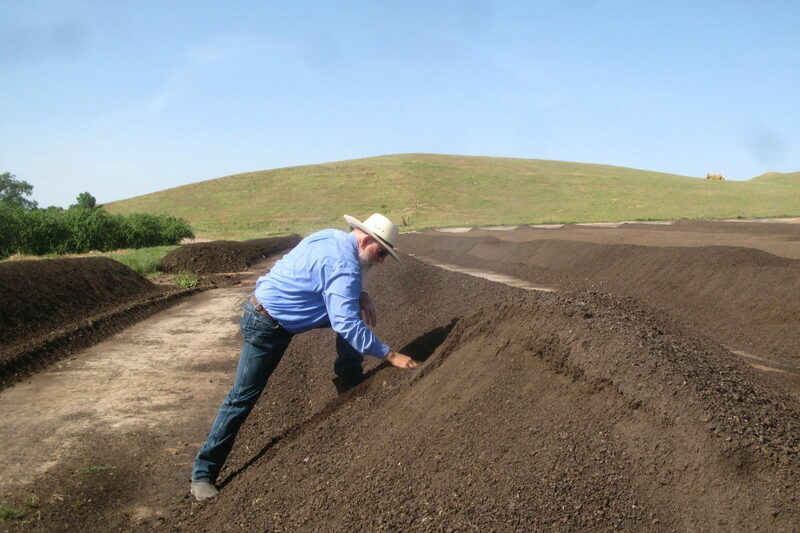 Photos, from top: Ward Burroughs with compost produced on his organic almond and dairy farm (courtesy of CalCAN); Farmer Jeff-Mitchell in a demonstration field using conservation tillage and cover crops to build soil (courtesy of CalCAN); the methane digester at Straus Dairy (courtesy of Straus Dairy).